Learn to build and model a magnolia tree and flower in Xfrog for Cinema 4D, then import and render in Vue 10 Infinite. Watch part 1 of the tutorial here. Watch part 2 of the tutorial here. When creating branching structures with Xfrog 4/5, then variation object can be used to create more complex shapes. The video shows how to combine several Variation objects to gain maximum control over. This tutorial will show you how to create a clump of grass with Xfrog for Cinema 4D. Xfrog 3.5 offered two different types of tropisms. One you could find in the Basic settings of all components. Usually you use it to align an object along a certain axis. The second type of tropism is part of the Leaf and Tree parameters, you can make them hang downwards (Gravitropism) or grow upwards (Phototropism). Gravitropism and Phototropism have been merged into the Xfrog 4 Tropism object. It´s now possible to bend branch components in every wished direction. 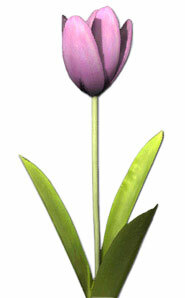 But the Basic Tropism didn´t make its way into Xfrog for Cinema 4D. To get a similar functionality in Xfrog for Cinema 4D, we will build us an Up component. To see how this all comes together, watch the video tutorial. The same can be done with Xfrog for Maya, put the on top of a branch component (Head link) and then drag this system into the desired direction. This video tries to explain one of the most asked questions about modeling with Xfrog. Especially new users of Xfrog run into a typical problem: branching or tree structures looks sparse and barren, despite the fact that node count is set to higher values. This video will try to explain why this happens and what you can do to solve this issue. This little clip shows another typical problem Xfrog beginners tend to fight. You place a branch component on top of another branch and despite increasing Node growth at top, still nothing shows up. Here we create and setup a rose for animation. Creating growth and sprouting leaves. Building and adjusting the animation. 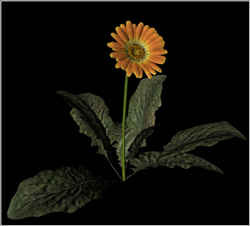 Build a flower in Xfrog for C4D in about 10 minutes! This quick and fast The blossom will be okay for Highpoly / closeup and for midpoly purpose! Start with scene file step1 which contains the materials for the scene files flowers and contains all the needed bitmaps. The video tutorials takes a little more then 10 minutes, we hope you have fun with this one. Hint: when you are satisfied with the look of the highpolycenter, you might want to convert the center to one polygon object. This can save a lot of calculation time inside the editor window. During rendertime this conversion happens anyway, so if you do not have to change the center, convert it to polygons. 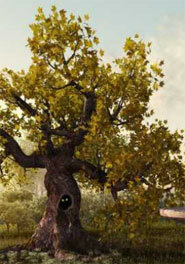 A small collection of tips tricks and video tutorials to help create gnarled trees. This little workshop will give you some ideas, how to make use of the billboards and perspective renders that you can find on XfrogPlants libraries. The first clip covers the cretion of the basic branching structure. During the second clip we will focus on finetuning the branching structure and adding leaves to the plant. During the third part we will further refine the shape of the bush and also talk about level of detail handling. 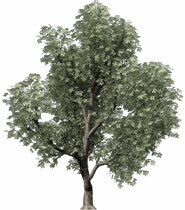 This tutorial covers the creation of a tree with lower polygon counts. Clip one shows how to build the billboard branching structure and how to create a billboard texture from that geometry. The second clip covers the modeling of the tree itself. Xfrog for Cinema 4D offers the possibility to import Xfrog 3.5 hierarchies. But because Xfrog for Cinema 4D has been entirely rewritten and many “flaws” of Xfrog 3.5 have been removed, this import is not always smooth. Additonaly many complex hierachies of Xfrog 3.5 can be extremly simplified, because of new features like the Variation object. The following two clips show you the basic steps and some hints, how to import an *xfr file into Xfrog for Cinema 4D and how to optimize the hierarchy. This time we will create an abstract animation. Simple equations will be of help to control the movement. This is a three part tutorial. During the first clip we will discuss the noise function inside a curvature spline. Then we will start to finetune the equation and add Xpresso scripting on top of that. Finally we will add a Tropism object and use even more scripting. Don´t be scared, it sounds complex, but it isn´t! This workshop shows a different approach to simulate wind. It uses a noise function to make the leaves shake in the wind, the tree is deformed by a Bend deformer. Of course this approach could be combined with the techniques of the Wind 1 tutorial. DiTools is a very usefull collection of plugins and shaders for Cinema4D. It´s even possible to combine Xfrog with DiTools. For this purpose some “hooks” have been build into DiTools, so that both plugins can communicate. The first clip shows how to build a patch of grass. During the second clip, DiCloner will be used to distribute the Xfrog grass onto a surface. Finally we will make use of DiPainter to paint a distribution. XfrogPlants DVDs contain plants in native Cinema4D file format so it is very easy to bring those plants into your scene – just browse to the wished plant and load, that´s it. Of course you can edit the plant materials and even replace the used textures with custom bitmaps.. This workshop will show you some techniques to get the best out of your Xfrog plants renders using Cinema4D.